With the holidays coming up, you’re probably thinking about what to get for your loved ones. You want to get them something they’ll like, and also something that they’ll find useful…but where should you start? 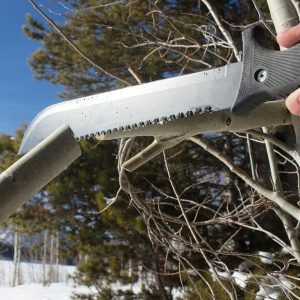 This gift guide will give you some great ideas for what to get for your loved ones, whether they’re a prepper or not. You’ll see what to get for a prepper, an outdoors/camping enthusiast, and a student. If you’re buying for a prepper, you can go all out. Anything that might help during a crisis is a welcome addition to a prepper’s collection. 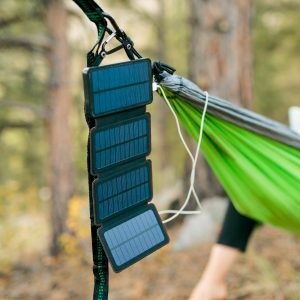 QuadraPro Solar Charger: Power will be out during a crisis, so being able to use solar power is an absolute must for any prepper. 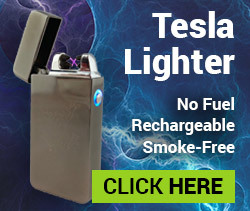 Tough Tesla Lighter: Uses plasma arcs to start fires at the push of a button. Weatherproof Matches: Small, cheap, and undeniably useful for bugging out. 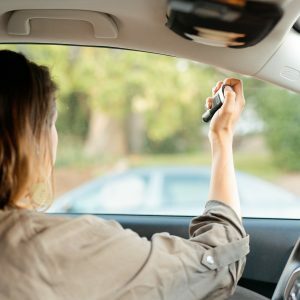 6-in-1 Car Escape Tool: This handy little tool is meant to stay in the car. It’s useful even if there isn’t an emergency because it also acts as a phone charger. They’ll think of you everytime they hop in their car. 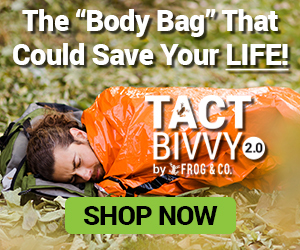 Tact Bivvy 2.0: Hypothermia is a big issue on preppers’ minds, and the Tact Bivvy 2.0 is the thing that beats it. Any prepper would be glad to get this emergency sleeping bag as a gift. 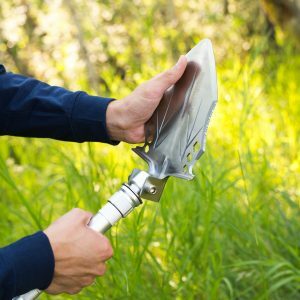 Tact 9-in-1 Shovel: This tactical shovel is actually nine tools in one. 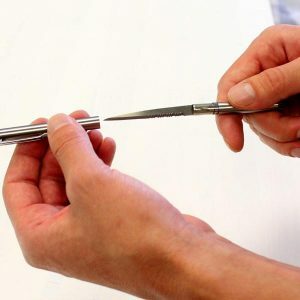 Each part can be swapped out to suit the task at hand. Emergency Solar Blanket: Useful for making shelters and for warding off the cold. Small, lightweight, and just under $6, this piece of survival gear makes a great stocking stuffer. Water Pouches: Water is one of the most important resources to have during a crisis. Having extra water is never a bad thing. Use these emergency water pouches as a well-thought-out stocking stuffer. 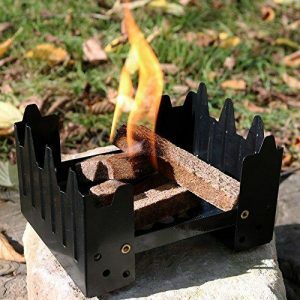 Pocket Stove (with Hex Tabs): Cooking food when SHTF will be a challenge, so why not help them out by getting them the pocket stove? It’s small enough to fit in your hand, and it cranks out enough heat to cook a regular meal. Mini Tact Light: Everyone needs a good tactical flashlight. Get one for them this holiday season and they’ll thank you for it. 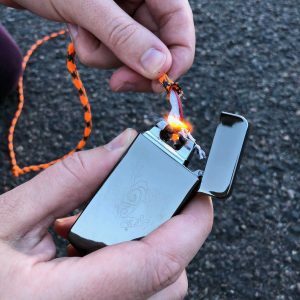 Magnesium Fire Starter: Modern firestarters are great, but it’s good to have a fire striker as a backup plan. Lifeshield All-in-One Kit: Want to go all out and really “WOW” a prepper you know? Get them the Lifeshield All-in-One Kit and watch their jaw drop. 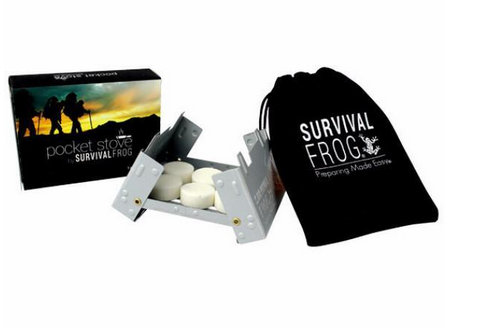 This package includes a bug-out bag and six essential survival kits to go with it. Needless to say, you’ll really get their attention with a gift like this. Lightweight Dry Bags: Give them a place to store all their survival gear so it won’t get damaged by water. If you’re buying for an outdoors/camping enthusiast, then they probably aren’t preparing for the end of the world…but you can still find them plenty of things they’ll find useful out in the woods or on the trail. QuickHeat HandWarmer: It can get pretty cold out in the woods, so give them a way to warm up. 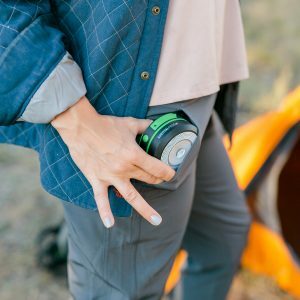 This little electric hand warmer will keep their hands warm on those long treks outdoors. 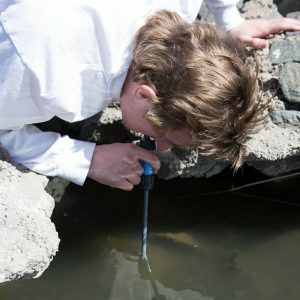 LifeStraw Water Filter: Give them the LifeStraw as a gift and they’ll always have access to clean drinking water wherever there’s a pond, stream, or creek. 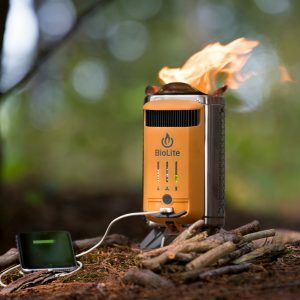 BioLite Camp Stove: This unique tool acts as a stove and as a charger for electronic devices. It’s a bit of a strange combination, but everyone who uses the BioLite Camp Stove loves it! 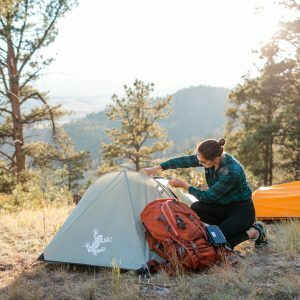 Solo Bivvy Tent: Why set up a big, bulky tent just for one person? The Solo Bivvy Tent is designed to fit one person and it’s super easy to set up, too. They’ll be glad to have it every time they go camping. 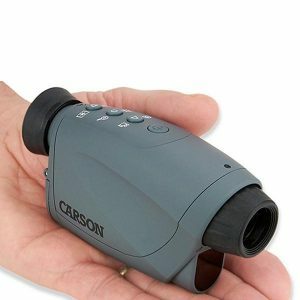 Pocket Light: Being able to see your campsite at night is important, but regular flashlights don’t do a good job of it. But the Pocket Light is a solar lantern. It’ll easily light up their entire campsite so they can move around freely. USB Rechargeable Batteries: Going through batteries like crazy is more than just inconvenient, it’s also expensive. 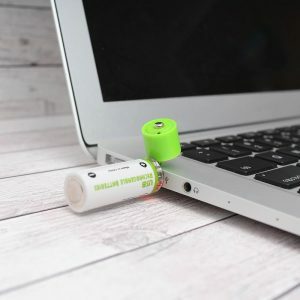 These rechargeable USB batteries will save them money every time they use them. 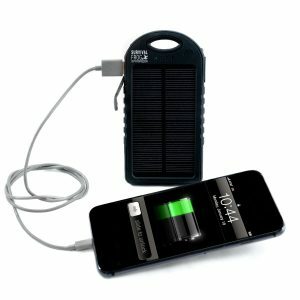 Solar Power Bank: There aren’t any power outlets out in the woods, but your loved one can still charge up their phone if they have the Solar Power Bank with them. Just clip it onto their backpack and they’ll always have backup power when they need it. 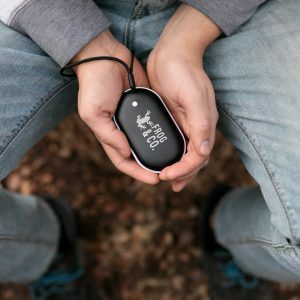 Pocket Radio: It can get pretty boring sitting around in the woods for hours, so get them this little pocket radio to liven things up while they’re out there. Tactical Backpack: Tactical backpacks aren’t just for preppers. Outdoorsman make good use of them too as a way to comfortable carry all their equipment. Water Bladder: Get them a water bladder and they won’t have to carry several bottles of water with them anymore. They’ll just fill up the bladder and stuff it in their backpack. Mountain House Food: Outdoorsmen don’t want complicated, they want simple…and it doesn’t get simpler than Mountain House Food. Just tear the bag open and add hot water. They’ll love you for providing them with a hot and delicious meal even while away from home. A student probably isn’t interested in prepping or the outdoors, but you can still get them survival/prepping gifts that they’ll love and use. QuickHeat HandWarmer: Keep them warm and cozy in their dorm this winter with this rechargeable hand warmer. They can set it by their laptop to keep their fingers warm on those cold winter nights. Power Card: The Power Card provides backup power to cell phones in case they need to make an emergency call. It fits perfectly inside of wallets, which means nobody else will see they have “prepping gear” and they’ll be more willing to use it. 6-in-1 Car Escape Tool: Stays inside their car until they need to use it. Can also be used as a phone charger. Looks almost exactly like an ordinary car phone charger. 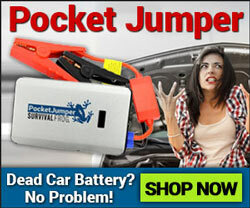 Pocket Jumper: If their car’s battery runs out of power, they’ll be able to use the Pocket Jumper to start their car up all on their own. Now you don’t have to worry about them breaking down and not knowing what to do. Scream Whistle: Keep your loved ones safe on campus by giving them a “scream whistle”. If they’re attacked or are in any sort of danger, they can blow this extremely loud whistle to alert nearby people for help. Universal Waterproof Cell Phone Case: Pretty much everyone has a cell phone these days, and students can’t live without them. Help them keep their cell phone safe from water damage with this waterproof case. It works with every phone, no matter what kind it is. Survival Playing Cards: Have some good old-fashioned fun by playing some card games…with a survival/prepper twist! This is a great way to introduce a non-prepper to prepping in a fun and non-threating way. No matter what kind of person you’re buying gifts for, you’re sure to have found something on this list that will suit their taste. This entry was posted in Prepping, Survival Checklists, Uncategorized and tagged gifts, holidays, ideas, presents on November 17, 2018 by David Adams. So you made it through the storm. The power is out, a few trees are down, maybe there are a few feet of water in your street. But you’re alive, there’s a roof over your head, and no immediate danger. What now? What to do in the aftermath of a disaster isn’t usually talked about as often as what to do in the disaster, but it can be just as important and is certainly longer lasting. Seventeen people are dead because of hurricane Michael. 400,000 people were without power. You’re far more likely to be one of the latter and should be prepared. While the advice in this article focusses mostly on hurricanes, much of it is applicable to any disaster from earthquakes to floods and fires that disrupt local infrastructure. Preparation is often key. If you live in an area where disasters like hurricanes are common, you should always have at least a basic emergency kit ready to go. None of these supplies expire, and having them stocked in your house can mean the difference between rushing to the store to fight over the last few cans of food in the best case, or going hungry in the worst. In a major disaster, roads may be closed and stores may not be open for days or even weeks afterward. You should have at least a week of food for everyone in your home. Do not rely on perishables. Your emergency stash should be canned, freeze dried, or otherwise nonperishable. That doesn’t mean you have to spend weeks living off of beans. Invest in something tasty, and buy a propane or camp stove. You don’t want to be scooping cold beans out of a can for days in the dark. Don’t forget to make sure your can opener is manual, rather than electric, and the food provided accounts for dietary restrictions such as allergies. Water bottles always sell out before a major disaster. To avoid the rush, simply invest in some gallon jugs of bottled water ahead of time. Even if you drink the water before the disaster, you can simply fill your jugs along with your bathtubs and sinks from the tap before the power goes out. At least one gallon per day per person is recommended. Remember, you may need water not only for drinking, but cooking, brushing your teeth, and bathing as well. And keep in mind that even if the water is running after a disaster, the local water treatment plants might not be. Always assume that there is a boil-water-warning until you have official notice otherwise. In the event of a truly major disaster, a simple water purification system will prove useful as an emergency backup. Be sure to have multiple flashlights, at least one for everyone staying with you, and several sets of batteries for them. Batteries don’t have a shelf life. You can buy a stockpile anytime and not have to worry about the rush to get them before a disaster. I also recommend something like an electric lantern for area lighting. For devices that don’t use batteries, like phones and tablets, be sure to charge them fully before the power goes out, and conserve their batteries. Simply putting a phone in airplane mode when not in use can help conserve the charge. A combined battery pack and solar charger is always a good investment. Fill up any and all vehicles you own. Gas stations can’t pump without power, which might not be back on for days. You don’t want to be stranded in your neighborhood until the pumps start again. Also, be aware that gas usually sells out before a hurricane, so fill up early, and expect long lines at the pump. If you live in a hurricane or power outage prone area, it may be worthwhile to invest in a generator. Even something small can keep your fridge running, and keep the food inside it from spoiling, along with a couple of fans for the heat. A little bit of power can go a long way towards your comfort. But be sure to read the directions of your generator and never run one indoors. In addition to these essentials, a checklist is included below of many other things that you should have. These are not necessarily less important than the ones above. Cash: ATMs and banks will be closed, and many businesses will open cash-only before the power is on. Cleaning supplies, including trash bags for debris clean-up. Important documents: This includes insurance information, Social Security cards, identification, and anything else you want to save. Water damage is possible, so be sure to store it somewhere high, dry, and waterproofed. Even a ziplock bag works. Pet supplies: They’ll need a stockpile of food and water just like you, along with medication, leash, and muzzle if necessary. Entertainment: Days without power can be boring. Board games, cards, and books can save you from boredom. First Aid and Medical Supplies: Besides a standard first aid kit, be sure to have an ample supply of any medication you or your family may need. There’s still danger even after the disaster. Flooded streets and downed power lines make for a dangerous combination. If you have to leave your house or property, do it carefully. Avoid puddles or flooded areas and keep a close eye out for powerlines which might still be active, even if they’re “down”. Remember that in severe flooding sewage may overflow in the streets and provide a serious health risk, so don’t go wading into the street. Also, remember that gas lines may have been disturbed or broken, and you should not light any fires until you are sure that it is safe. If you have any property damage, take pictures for insurance purposes before cleaning anything up. Roads may be closed due to downed trees, power lines, or erosion, so be sure to keep up to date with official notices online or by radio. Avoid driving anywhere until they have been cleared. You will most likely have at least a day’s worth of labor clearing down branches or trees from your own property. Be sure to have appropriate gloves, clothing, and equipment to do so. It may be days or weeks before power and normalcy are restored. In the meantime, enjoy a few days off from work. Make the most of it. Read a book, spend time with your family, and talk to your neighbors. This entry was posted in Emergency Preparedness, Emergency Survival, Survival Checklists, Uncategorized and tagged aftermath, cleanup, disaster, shtf on October 26, 2018 by David Adams. Hurricane Michael took the country by surprise recently when it tore through the South East. Many people were taken off-guard by the unusual path the storm took and were severely underprepared as a result. 18 people died because of the hurricane. There was a mandatory evacuation order, but not everybody was able to comply, and were forced to face the storm head-on. Of course, evacuation is the best way to survive a hurricane because it can’t hurt you if you aren’t there…but what should you do if you can’t evacuate in time? The purpose of this blog post is to give you some pointers on how best to prepare in that worst-case scenario. If you’re going to stay at home for the hurricane, you’ll have to prepare your home and your property to make it as safe as possible. Windows should be secured with storm shutters to prevent the glass from breaking and blowing into your home. If you don’t have storm shutters, nail plywood boards over your window instead. Don’t try to skimp out by just covering your windows with tape. It won’t hold and won’t give you any protection. 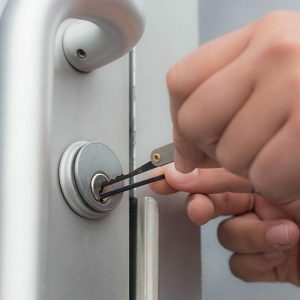 What many people might not know is that it’s just as important to secure your yard as it is to secure your home. Tree branches, toys, and any other debris around the yard can be picked up by strong winds at whipped around at dangerous speeds. Take some time beforehand to clean that stuff up. Also, make sure to clean out any clogged gutters so the rush of water doesn’t flood into your house. Keep in mind that you won’t be able to go out and get supplies for the duration of the hurricane. Make sure to have at least a few days worth of food and water. The power is going to go out, so you’ll find it very helpful to have a power bank to charge your phone. During the hurricane you should stay in your safe room. 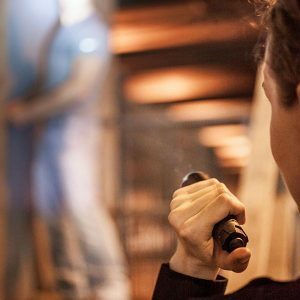 Your safe room should be the most secure room in the house. The best safe rooms are fully interior with no windows, but if your home doesn’t have one like that then just choose a room with as few windows as possible. You can use a mattress to help cover up windows to make them extra secure. Your safe room should be on the first floor of the house. Don’t hide in the basement because it will probably flood during the hurricane. At this point you just have to wait it out. Have some sort of entertainment like a pack of playing cards to help pass the time. Keep your fridge closed as much as possible so your food doesn’t spoil. Don’t count on getting help during the hurricane. Assume that you’re on your own and act accordingly. The hurricane is now over…but there’s still danger. The hurricane’s powerful winds moved a lot of stuff around, and it could be sitting in a dangerous location just waiting to fall or break. 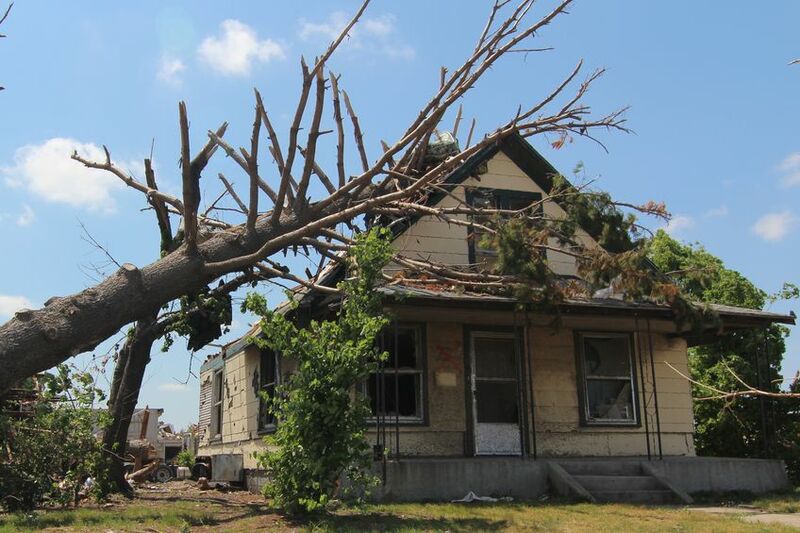 Nearby trees should be checked for damage, and make sure there’s nothing sitting on your roof just waiting to fall down and hit you. Have you lived through a hurricane before? Let me know your thoughts below, along with any survival tips that might help your fellow Americans. This entry was posted in Hurricanes and tagged evacuate, hurricane michael, hurricane survival on October 15, 2018 by David Adams. If you have been prepping for any length of time you have probably come across something about Electromagnetic Pulses (EMPs) by now. Put simply (and I am no scientific expert), an EMP occurs when magnetic fields interact and rapidly change causing a surge of voltage in electronics. One of the most common EMPs you are familiar with is a bolt of lightning. If you are listening to the radio during a lighting storm, the static you here every flash is an EMP. Another once common EMP comes from internal combustion engines. Before newer ignitions were mandated, car radios were targets of interference from the engine itself. I can attest this to be true, since I built a Hot Rod in high school that had a terrible buzz in the radio every time you revved the engine. A static spark from walking across the carpet also emits a mild EMP. If you have ever shocked your computer this way you might not think it is that mild. The EMP preppers are concerned about is the one generated by a nuclear explosion. They can be extremely strong and cause massive damage to electronics. In 1962 the U.S. detonated a nuclear device at high altitude over the Pacific Ocean. The EMP from that explosion knocked out street lights in Hawaii, over 1500 miles away. If a similar device was detonated over the upper Midwest the effects could be devastating to our country. Why should I be concerned about them? As I mentioned a relatively small device knocked out street lights at a range of 1500 miles in 1962. Imagine how robust electrical systems in 1962 were compared to the complicated (and delicate) electronics we have today. These electronics permeate our society, and to a great extent control it. As an example in the early to mid eighties my uncle in California experienced an earthquake that knocked out power in a wide area. Since my cousin was an infant at the time, he ran to the store to buy some extra formula to tide them over. The store refused to sell him any because the power was out and the digital cash registers were not working, and they refused to take cash! Another reason is that the magnetic field over the U.S. is much stronger than the Pacific where the test was made. According to scientists, this means the effect of the EMP would be amplified compared to the 1962 test. You can protect sensitive electronics with a device called a faraday cage. Simply put the cage channels the pulse around whatever is inside and keeps it safe. At minimum you should have backup communications gear stowed away and protected. 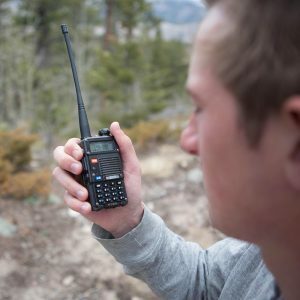 A radio to try and get news, CB radios for contacting others and newer more powerful two-way radios. This will give you a better chance of staying abreast of current events and possibly a warning to follow-up attacks. What are some other effects? Fortunately an EMP in and of itself is considered harmless to animal life. 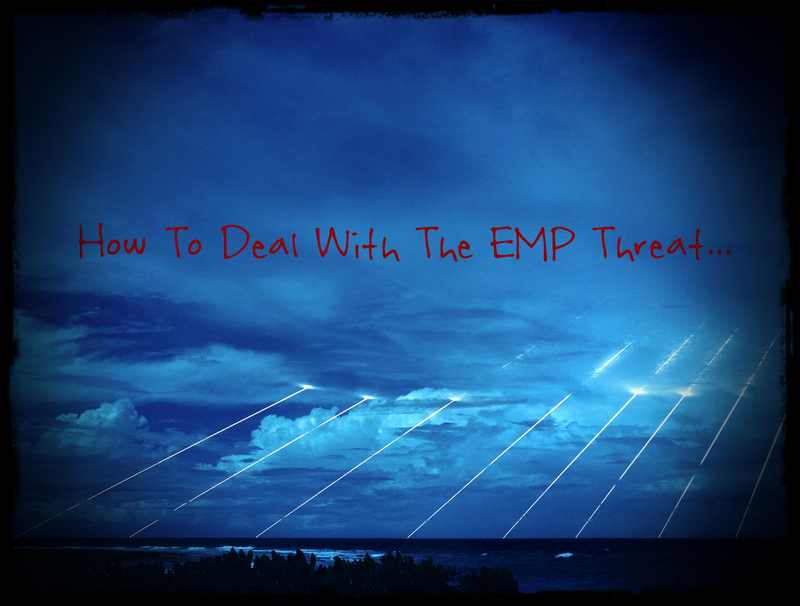 Unfortunately an EMP is usually not a stand alone event. If the EMP is from a nuclear explosion you will be dealing with possible blast damage, initial radiation, and fallout radiation. Blast damage and initial radiation is best handled in a bunker or shelter built for that eventuality. Fallout will have to be dealt with by far more people. Fallout is the dust that is irradiated and kicked up in the air by a nuclear blast. It is thrown into the atmosphere and distributed over a wide area. You will need to have an area to decontaminate yourself after every adventure out of doors. This can consist of a shower in the garage or a vacuum cleaning station. All of the food you bring into the home will likewise have to be cleaned to remove any radioactive particles. Even with good hygiene you will still be getting dosed with higher than normal radiation. 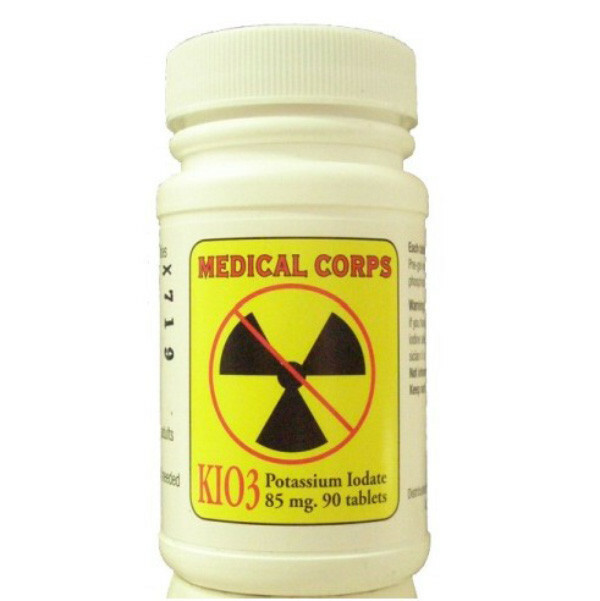 After any nuclear blast you will want to start taking Potassium Iodate. This stuff floods your thyroid gland with harmless iodine and helps prevent the absorption of harmful radioactive iodine 131. This is a good front line defense against radioactive fall out. Even without a bomb, Potassium Iodate is a good idea to stock up on since we have many nuclear reactors in this country. The chance of an accident at one (or even a different kind of nuclear accident) is fairly high. As an example Fukushima is polluting the west coast with detectible radiation. An EMP would be a game changer in this country. The government tries to downplay the potential impact, but anyone who has looked at the possibilities can clearly see it is a viable threat to prepare for. This entry was posted in Alternative Energy, Emergency Preparedness, Nuclear Survival, SHTF and tagged Electromagnetic Pulse, EMP, Faraday cage on May 11, 2018 by David Adams. 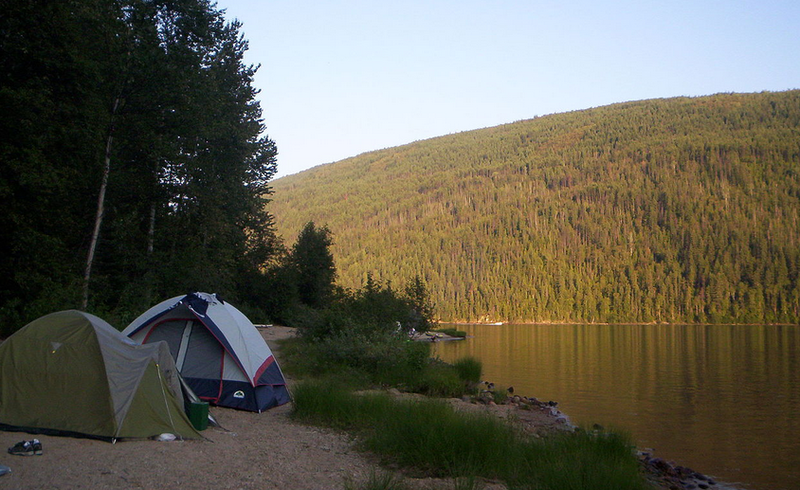 With another summer camping season kicking off, the internet is filling up with lists of camping hacks for all of the neophyte (as well as old time) campers heading out for the weekend. I have tried to glean some of the more practical tips along with sharing some that might not make it on other lists. There are quite a few good tips out there about how to deal with bugs. One way to keep bugs away from your campsite is to add sage to your fire. This is the spice, not the common sagebrush that grows in the west. Buy the cheap stuff from the spice rack, and save the expensive organic spice for your cooking. Just sprinkle some on the fire every once in a while to keep the camp smelling nice and the skeeters at bay. Another fire additive (or fuel, if you like) is a cow pie (yes, cow manure). When it burns, it emits something that drives the skeeters away. Don’t worry; they don’t stink while they are burning. The pioneers heated and cooked away the long prairie winters with nothing but buffalo chips as a fuel source. Any ruminant (deer, elk, etc.) droppings should work. Citronella Tiki torches do an okay job of keeping bugs at bay, but they kind of put a cramp in the camping mood unless you are camping in the South Pacific. The cool thing is you can burn the citronella oil in any kerosene lamp or lantern with the same effect as the torches. You can even use the oil to make your own citronella candles. Just add a few drops of oil to the liquid wax of your burning pillar candles. If you find a tick attached to you, take a cotton ball and put some liquid soap on it, then place it over the tick. The tick will let go and reattach to the cotton ball. The last advice on avoiding bugs I can give you is to camp where they aren’t. This means picking a spot that is windy. As long as it doesn’t drive you crazy, the constant wind will keep the bugs away from your camp site. Keep your TP clean and dry by storing it in a coffee can. You can also use a bulk pack CD case. aren’t having a reaction where you rubbed it, it will probably be safe to use for your TP. Cooking over evergreen flames will coat your food with a black tar that tastes like turpentine. As many times as I have seen this advice given, it amazes me how many people I still see cooking over evergreen fires. If you must use evergreen for your camp fire, you will want to cook using the radiant heat from beside it. Better still, wait until it is completely burned down to coals before doing any cooking. Jewel weed grows in the same areas as poison ivy; it is a good idea to learn to recognize this plant. Just crush some of the leaves and rub them on exposed skin to lessen the poison ivy’s effect. If you somehow have forgotten your tea or coffee, you can substitute from the wild. Dandelion or chicory root make a passable coffee. Those that have tried it and don’t like it most likely have not roasted it long enough. It should be cleaned, crushed (or chopped fine) and then roasted until black (even burnt), then brewed. My favorite wild tea is Goldenrod leaf tea. It brews up bright green but has a nice astringent flavor like real tea. My final tip here is for those who smoke and have run out of tobacco. Kinnikinnick makes a fine pipe tobacco if you happen to be in the west where it grows. Simple hacks can make your camping so much more enjoyable. Hopefully something on this list will be useful to you this summer. This entry was posted in Camping, Outdoor Survival, Survival Hacks and tagged camping hacks, camping hacks 2015 on May 6, 2018 by David Adams. You have all the right supplies. Your emergency plan is technically flawless. And yet, when disaster strikes, you still might find yourself struggling to survive. Why might you struggle? It’s due to one factor that can often undo even the best laid plans: the human element. Survival isn’t just about having the right gear — it’s also about having the right state of mind. 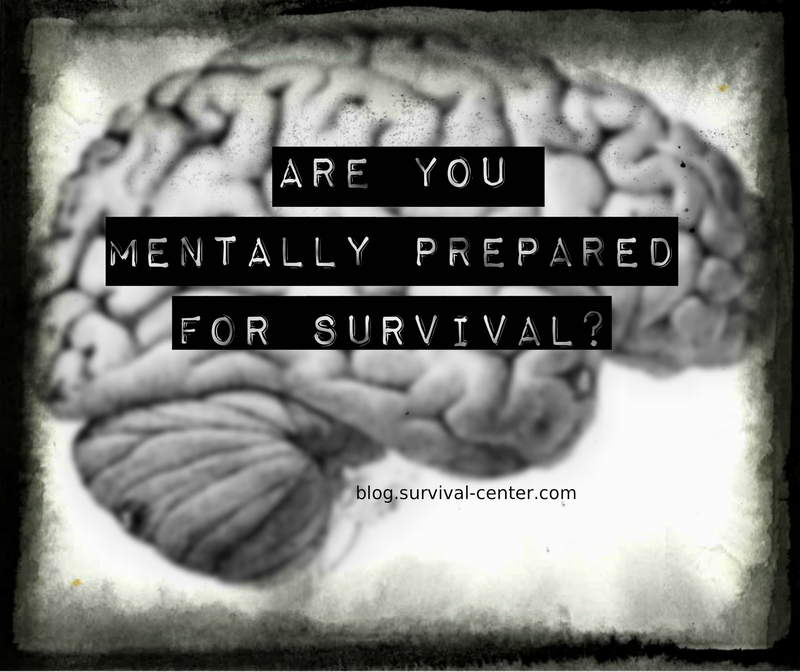 Imagining that you can handle the rigors of survival is pretty easy. The real survivor knows he can survive, and he knows it because he has already prepared himself for the potential rigors. You have all the supplies you need: food rations, the means to prepare them, and all the necessary protection gear. Then, the moment of truth comes, and you find yourself without a clue how to actually use a piece of equipment. Any gear you don’t know how to use properly is as useful to you as gear you forgot to get. It seems obvious to say, but how many people really take the time to learn how to use their equipment past just reading the instructions? The difference between being a true survivor and a weekend warrior is how you answer that question. The only way to know for sure that you are fully prepared to use your gear is to take the time to get to know it. By cooking meals semi-regularly with the equipment in your emergency kit, you’ll become comfortable using them in situations when they become necessary. Familiarize yourself with your survival gear, and you’ll not only be sure ahead of time that you know how to use it, but also that it will fit your needs. The only surefire way to know that you’re prepared to rely on your supplies is through experience using them. Of all the gear and things you need to survive, the most important is to know you can count on yourself. It’s easy to imagine you’re prepared to face the challenges of survival, only to find yourself overwhelmed at the worst possible moment. 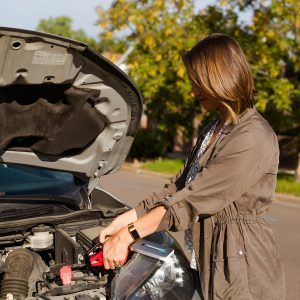 The shock of switching from the daily routine to emergency survival mode can lead to a great deal of stress. Stress can undo even the best planning in the world. Of course, a good survivor has already taken that into account. Just like with your gear, the only way to know that you are prepared is to go through the steps to prepare yourself. The less of a shock the transition from your normal routine, the better you’re able to adapt. Start by regularly taking a few days a month away from all the luxuries of modern life. These likely won’t be there post-crisis, so you’ll know exactly what it takes to get by without them. Take the time to familiarize yourself with the lifestyle you’ll be leading in times of emergency even before it becomes a necessity. You think about doing it all the time anyway, right? Your brain is the most valuable tool you have. Make sure you can count on it when the time comes, and you’ll have already taken one of the most important steps down the road to survival preparedness. This entry was posted in Emergency Preparedness, Prepping and tagged mental survival, mentally prepared, survival mentality, survival mindset on May 3, 2018 by David Adams. The Bug Out Bag, commonly known amongst survivalists as the BOB, is going to be the first thing you grab when it’s finally time to take off. Whether it’s the zombie apocalypse, a natural disaster, or a hostile invasion, your very survival could depend on what you put inside that bag. So, what should you put in your bug out bag? Let’s take a look at how to make the perfect bug out bag that will work for you and your family. Your bug out bag should be in the form of a backpack, and definitely one that can carry at least 50 pounds. Hip support is extremely important, so look for one which has a hip strap. The better your hip support, the more your ability to carry a load longer increases. You’ll also want to purchase a rainproof shell to cover your bug out bag in case of bad storms. What Should I Include in My Bug Out Bag? The first thing you will need once you have left the warmth of safety of your own home is shelter! You can pack things such as tarps or plastic sheeting which can be used with rope to construct a makeshift shelter. Another important part of this shelter will be warmth, so be sure to pack all weather blankets and/or sleeping bags. You can usually find sleeping bags that come with compression sacks so they can be made smaller in size to easily store inside your bag. Bring a flashlight for some light at night. Another important aspect of the BOB that you will also need is a full change of clothes. This is because if by chance the clothes you are in get soaked, it could be deadly to spend the night in them. Bring pants with lots of pockets, and preferably ones that can be converted into shorts. Don’t forget the extra shirt, socks and underwear! Gloves and a scarf could also come in handy, depending on the weather you are dealing with in your part of the world. Lastly, pack up a pair of slip on shoes in case your main pair gets wet. Something else crucial to the bug out bag will be your tools! The tools I’m talking about here would be things like a compass, hand crank radio, headlamp, cord or rope, duct tape, fire starter and waterproof matches. One extremely important tool you can’t forget here is the first aid kit. That will contain tons of vital medical equipment you will need in case of injury. If your first aid kit doesn’t contain pain relievers already, you may want to add a small travel sized bottle of your preferred type just in case. Of course, if you take medication, pack an extra bottle of them as well. Also of great priority will of course be food and water! Pack bottles of water as well as a small canteen of water. Bring water purification tablets with you, preferably a 24 pack, just to be safe. Bring food that will sustain you, such as protein bars, trail mixes, small jar of peanut butter, granola bars, and other non perishables that have a high calorie count. This entry was posted in Emergency Survival and tagged bug out bag, how to make a bug out bag, what to put in a bug out bag on April 24, 2018 by David Adams. Months of your time and energy have gone into growing your plants, but you could be left with nothing after a swarm of ravenous insects attack your garden. Sure, you could use pesticides…but that’s toxic and you’ll eventually run out of them after SHTF. That’s why I recommend making your own “DIY” insect sprays that are both natural and effective at killing harmful insects. Don’t worry…these DIY insect sprays are easy to make. The recipes are simple and use common ingredients you can find around the house or at the grocery store. For this recipe to work, you’ll need a cooking oil such as olive oil and a “pure” soap. Pure soap doesn’t have any synthetic chemicals like detergents, de-greasers, moisturizers, or bleach. Add 5 tablespoons of pure soap and 2 tablespoons of your choice of cooking oil to one gallon of water. This recipe works well because the oil helps it stick to the leaves of the plants for long-lasting protection. This recipe is almost the same as the one above, but it’s a little less “intense” and will be good for more sensitive plants, such as lettuce and other leafy plants. Add 2.5 tablespoons of pure soap to one gallon of water. Don’t add oil this time so it will be more toned down. This is a 1% solution that effectively kills pests and goes easy on sensitive plants. This recipe is a bit strange because it uses tobacco as an ingredient. But it works because the nicotine is absorbed by the plants and then the nicotine kills the bugs when they consume part of the plants. Of course, this means that if you’re spraying edible plants you should only use this spray early in the plant’s growth so the nicotine has time to leave the plant before you eat it. Put one cup of tobacco in one gallon of water and boil it for 30 minutes. Then strain the solution and let it cool. You can add pure soap if you want it to be extra-strength, though it isn’t necessary. If you have an ant problem, this orange peel recipe will do the trick. All you have to do is peel two or three oranges and save the peels. Then put them in the blender with some water and blend it into a fine liquid. Now take the liquid you just made and pour it down any ant hills you see. This might be the most effective insect spray here, but the one drawback is that it’s a bit smelly, so it’s best for outdoor plants. First, grind one garlic bulb and one onion. Then add one tablespoon of powdered chili peppers. Next, stir it all into a 1/2 gallon of hot water. Now, strain out all the chunks and add one tablespoon of pure soap. Don’t have a garden yet? Get started quickly with our bucket of Survival Seeds. It includes 16 varieties of edible plants for you to grow and enjoy. Know any other all-natural solutions for pest control in your garden? Share them in the comments below! This entry was posted in DIY Projects, Homesteading Tips and tagged bugs, insects, pests, sprays on April 20, 2018 by David Adams. Many preppers plan on having a garden and growing crops when SHTF…but what about a reliable source of meat? For those who are interested in raising animals, you might be wondering which animal you should raise. While there’s no one “right” answer to this question, ducks are generally considered one of the easiest animals to raise, which is perfect for first-timers. Here’s why preppers should consider raising ducks as part of their survival plan. Ducks are surprisingly tough, which makes them a great choice for preppers who are raising animals for the first time. Their outer layer of feathers are waterproof, so they stay nice and dry even when it’s wet out. Plus, they have a thick undercoat of feathers that helps protect them too. Ducks also adapt well to both hot and cold weather because they have an extra layer of fat on their bodies that helps insulate them from temperature changes. Animals get sick too, and this can be a big problem with some animals…but ducks are one of the healthiest animals and rarely get diseases. This makes ducks a great choice for preppers who want to raise an animal that doesn’t require a lot of care. If you raise other animals, all you’ll have to show for your hard work is the meat they eventually provide… but ducks lay eggs throughout their lives, giving you a secondary source of protein and extending the duck’s life. Ducks lay eggs every day of the year, so you’ll have plenty of them for you and your family. Chickens only lay eggs for half that time. Duck eggs are considered a delicacy in many parts of the world, and it’s no wonder when you consider that duck eggs are larger, tastier, and healthier than chicken eggs. Their shells are also thicker, which makes them more durable and have a longer shelf life. Lawn and garden pests can get out of control if there isn’t something to keep them in check. You don’t need to use harmful chemicals when your ducks will happily get rid of those pests for you. Ducks will eat pretty much anything that dares enter your lawn. Usually, they’ll eat a lot of bugs like worms and snails, but don’t be surprised when you see your ducks hunting and killing larger animals like frogs and snakes! Ducks are much friendlier than chickens. In fact, ducks are so friendly that some people consider them to be pets rather than livestock. Unlike chickens, which can be standoffish and will fight with each other, ducks will quickly welcome new members to their group and are even friendly with their human owners. Just try not to get too attached to them if you plan on slaughtering them for meat later. Ducks usually stay pretty quiet. They only start quacking when they become agitated, such as from the threat of a nearby predator. Compare that to chickens which make noise almost constantly. Your home will be much more quiet and peaceful with ducks. If you don’t want to raise any animals, then you’ll need some other source of protein for when SHTF. Survival Fresh Canned Meats have a shelf life of 25+ years and are packed with protein and only contain two ingredients: meat and salt! Tell your fellow preppers your tips and tricks for raising animals in the comments below! This entry was posted in Homesteading Tips and tagged animals, chickens, ducks, eggs, homesteading, raise on April 14, 2018 by David Adams.